After coronary artery bypass, some patients have diaphragmatic elevation, usually on the left side. To test our hypothesis that this phenomenon is due to phrenic nerve injury resulting from either 1) dissection of the proximal portion of the left internal mammary artery or 2) topical cooling of the heart with icy slush, we performed the following 2-part study. First, we reviewed our hospital records of 99 coronary artery bypass patients, 55 of whom had received left internal mammary artery grafts and 44 of whom had undergone saphenous vein grafting; the results showed no significant difference between the rates of left-sided diaphragmatic paralysis in the 2 groups (47% versus 41%, respectively). 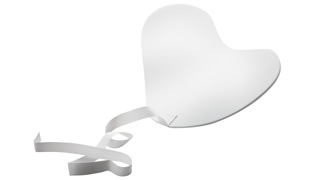 Next, we performed a prospective, randomized study in 100 consecutive patients, using a cardiac insulation pad to protect the left phrenic nerve in 58 patients and using no protective pad in 42 patients. At the time of hospital discharge, left-sided diaphragmatic elevation was seen in 6 (10.3%) of the 58 patients in whom insulation had been used and in 19 (45.2%) of the 42 patients whose phrenic nerve had been unprotected (p<0.001). We conclude that cooling of the left phrenic nerve with icy slush in the pericardial cavity causes left-sided diaphragmatic paralysis and that the frequency of this injury can be reduced if a cardiac insulation pad is placed between the nerve and the icy slush.